Culture strongly influences people’s values, expectations, behavior, and even perceptions and cognitive reasoning. Although HCI researchers recognize culture as an important factor, the research about cultural issues and HCI needs to go further. 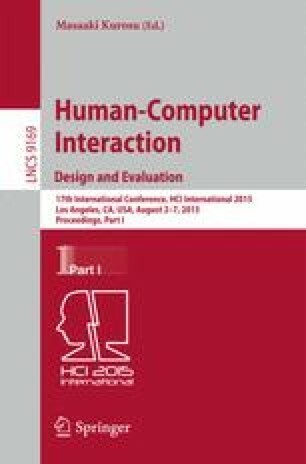 This paper discusses why culture should not be viewed as a threat or something that is better to relegated to minor importance in Human-Computer Interaction, but that has a key role in the investigations and development of new theories, methods and techniques. In the light of the grand challenges prospected in GranDIHC-BR by the Brazilian HCI community, we explore some of the opportunities and challenges culture brought to HCI as a research area. This research is partially funded by FAPESP (#2013/02821-1; #2014/01382-7), CAPES and CNPq.